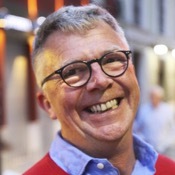 About Michael S. Message Michael S.
Michael is an ideal guide in that he is a native of England but has lived in Malaga for 30 years, so he speaks perfect English and also is very knowledgeable about Malaga and Spain. (We have had some TBL guides who rate themselves as fluent in English, but clearly are not fluent or even advanced.) It was a very enjoyable 3 1/2 hours walking through central Malaga and going to 3 tapas bars and chatting with Michael. We had a wonderful day with Michael. He showed us wonderful old taverns and we so enjoyed the food and wine! He is such a friendly man with a lot of information about Malaga! I will definitely be telling people about ToursByLocals and especially Michael. Thank you for a wonderful day - one we will never forget! This was one of the best tours I have ever taken. Michael was beyond accommodating. We strolled the markets then the foodie came out! He introduced us to foods and places we would never have experienced! It was so much fun. He truly knows his stuff. Dont miss out just book! You will not be sorry. We left feeling as if we had dined with a friend. Cannot say enough amazing things about this gentlemen. Had the pleasure of spending the day with Michael and exploring the food and drink of the city. Absolutely amazing on all counts. The food and drink were excellent and you couldn't find a nicer person to spend your day with. Five star tour and person. TOUR GUIDE RESPONSE: Dear Martin, Thank you for taking the time to submit a review. It was a pleasure to meet you all and I look forward to a "repeat" performance when you are next in my beautiful city in April of next year. It is always lovely to see faces again and to spend more time with new found friends!! Fun it will be again!! Michael. I was referred to Michael from a tour my parents and their close friends took recently. The personal referral was well worth it. Michael is wonderful. He was very helpful guiding us to the meetup location, once with him, it was like we had our private tour of all the best spots in downtown Malaga. He knew the best shops at the market, was quite knowledgeable about the various butchers, produce and fish providers. We stopped at three places for the tapas tour, each one better than the rest. A delicious evening! The tapas tour with Michael was a great way to start our Malaga vacation. Besides introducing us to local foods, Michael gave us tips on where to go to eat and what to see on our own. Loved that he customized the trip on the fly, after hearing what we love to eat. Definitely recommend. Michael give us the best afternoon yet of our trip to Spain. He is passionate about food and Malaga. He was a joy to spend time with and we highly recommend him! It is usually very difficult to find tours that can meet my wife's food allergies. This was a pleasant treat to find Michael and this tour. Malaga is a very pleasant city, easy to walk but I would never have found the places we went if not for Michael's knowledge. If you can, sign up for this tour! Michael is one of those rare guides who shapes his tour as it proceeds to best fit his client's interests. Our group ranged in age from 23 to 69 and all of us were very happy with the three hours that we spent with Michael. The food and wines he chose for us were excellent. What better way to understand a place, its people and its culture than through its food and wine? TOUR GUIDE RESPONSE: Gracias for taking the time to send a review. It was a pleasure to meet you and to share my insider's "take" on the food scene in Malaga - it was a fun afternoon. I hope you have tried out a few of my restaurant suggestions! Michael. 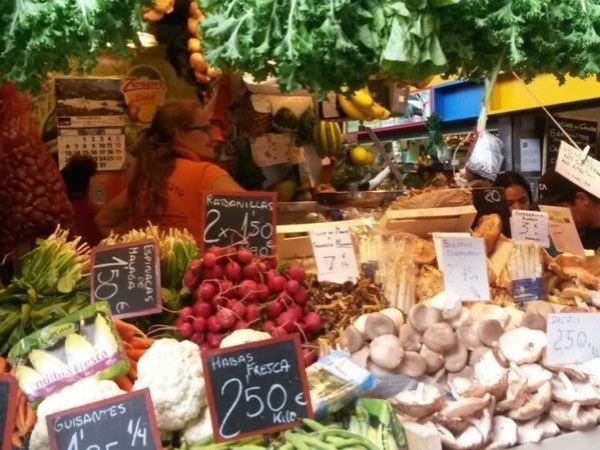 This was a good way to learn about the different food in and around Malaga. We had an enjoyable time and he adapts the tour to the specific tastes of the clients. We felt like we had a friend in Malaga that was taking us around to the best tapas spots. Highly recommend if you love food. Michael met us in the lobby of our hotel, and we «hit it off» right away - it was like having a friend welcoming us. He took us to the food market hall, and to the oldest bar in Malaga - wouldn't found it on our own. Then we enjoyed nice food in cousy tapas-restaurants with good red wine. Michael was friendly and open-hearted, although I can be somewhat difficult when it comes to food. Thank you, Michael - three hours flew away. Was with my wife & her 85 year old mother/father. This walking tour was ABSOULTELY FANTASTIC! Malaga is a wonderful city & Michael was just a fabulous guide. He showed us many unique things and had many interesting/unusual stories to go with the walking tour of Malaga (he has lived there 29+ yrs). We HIGHLY RECOMMEND this tour for all (young/old) as Michael has a great style/way with everyone (everyone in the city seemed to know him), the city was easy to navigate, and the food/wine was divine. One of the best tours we have ever taken! Michael was a fabulous guide. From beginning to end he was perfect. The food and wine were sooooo good. Michael provided us with clear directions to the meeting point, the walking was not too much, and each stop was great. By the time Michael got us back to the shuttle for our ship we all felt we had made a new friend! La gira di Michael fue maravillosa. Michael was a real treat. His tour was lovely. We had great food and learned so much about the local culture. Everything we ate was excellent. Michael is a very interesting man and a truly enjoyable afternoon companion. We would highly recommend him to others. Michael was so enthusiastic about his adopted city and country, that we are ready to start looking for real estate! The food and wine was excellent, and as we walked from place to place Michael described some of the wonderful sights in Malaga. A lovel tour at a leisurely pace, entirely tailored to my requirements. Some wonderful food and a bit of culture and history as a bonus. It showed Malaga in a new, friendlier light. Very enjoyable! Michael is all that's advertised; knowledgeable, professional, interesting, and committed to his region and properly called Mr. Malaga. You can find cheaper "foodie tours" that are less personal and have folks doing the tours "on the side." You get what you pay for... and for a food rich environment like Malaga, pick Michael. My husband and I toured with Michael in Malaga in October 2015. We could not fit the regularly scheduled tour into the time allotted, so Michael designed a walking tapas tour just for us that fit our time frame. We left with a real feel for the city and a real good feeling in our tummies. Yummy and so professional, yet so personal. Go with Michael.. you will enjoy yourselves. TOUR GUIDE RESPONSE: Thank you for your kind words Penny and Arnie. It was wonderful to meet you both and to share a little part of Malaga with you both. I will never forget the contented look on Penny's face as she tucked in to her first ever Churros and Chocolate! I hope to see you back in the city one day. Kind regards, Michael - aka Mr.Malaga! If I could give this tour more stars and the guide more stars i would. Michael was the best guide we have ever had and this tour was the most wonderful tour we went on! We loved Michael and Malage so much we would love to live there! The food we ate, the history we learned was fabulous! Wish we had more time to see and eat more! We loved the area and everything about it! I would recommend Michael!! EXCELLENT! If you are going to take a tour of Malaga why not take it with Mister Malaga himself! Micheal is not only warm and friendly he is a well-spring of knowledge of the city the food the wines and the people! This was well worth the time and money. If we are ever back in Malaga we would book with Micheal! Not only did we enjoy the city we made a friend! Thank you Mister Malaga! Wonderful tour. Great food and great company. An insider's view of a beautiful city. Recommend to all, especially foodies. One of the best, if not THE best, tours we have ever taken. Michael was an excellent host and a guide to gourmet tapas and wine bars in Malaga. We thoroughly enjoyed the tour, the tapas, the wines and Michael's company. Michael was an excellent guide of Malaga and his passion for the city really showed it. We Tapas'ed our way thru Malaga in the afternoon and it was excellent. If anyone is thinking of seeing Malaga and Michael is available, don't pass up the opportunity. Michael, the Foie Gras yogurt was to die for.